If you're new to the my books, you'll find that they're a mixture of military science fiction, action, and fantasy. Tales of Cinnamon City is a science fiction series set in the richly detailed world of Megarothia. If you are new to this series just click the button below to get started. Bobby Dollar is an angel, but not the kind with squeeky clean habits and a clean conscience. He's a different kind of angel, one that lives down on earth with us. His job is not like any other, but he still has bosses to report to in Heaven. The setting is unusual and complex, detailed and interesting in many ways. The characters are diverse, and far from ordinary. The story spins them all in a web of good and evil, but we soon discover that there are many levels of grey in between. Not everything is as it seems on earth. Dollar finds himself in the middle of an investigation to find out what what has happened to some human souls that have 'gone missing'. The path of the investigation does not go smoothly. A lot of strange people are interested in finding out what has happened. The story gallops along at a fair old pace and Dollar finds himself in the middle of it all as usual. This was an entertaining book, carried along by interesting characters and varied settings. It is the first in the Bobby Dollar series and offers a promising start to what is to come. Tad Williams is a seasoned pro when it comes to writing entertaining stories and the Bobby Dollar series is no exception. 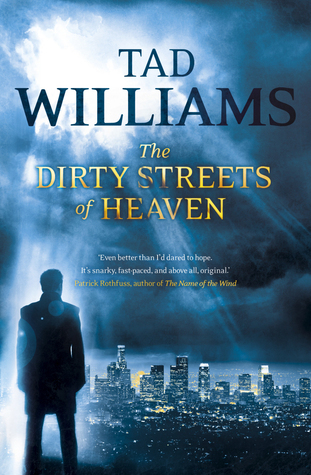 Where Williams excels is in letting his expansive imagination run wild. The unique characters and imaginative settings are what makes his stories come to life. I'd recommend this book to anyone who enjoys science fiction / fantasy. If you're new to the my books, you'll find that they're a mixture of military science fiction, action, and fantasy. Tales of Cinnamon City is a science fiction series set in the richly detailed world of Megarothia. 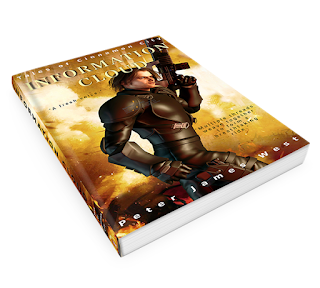 For a limited time, you can get a FREE copy of Information Cloud – the first novel in the series – direct from this site. Just click the button below to get started.